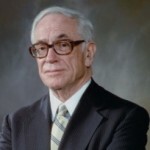 Comments on: "Malcolm Forbes Quotes: Men who never get carried away should be." Itʹs always worthwhile to make others aware of their worth. To live long and achieve happiness, cultivate the art of radiating happiness.